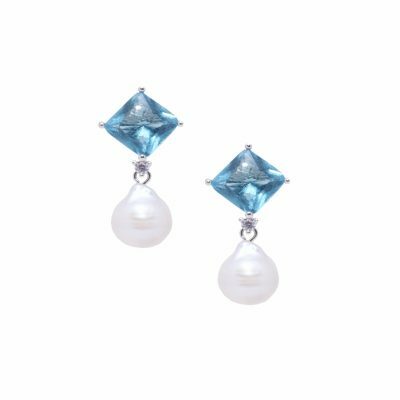 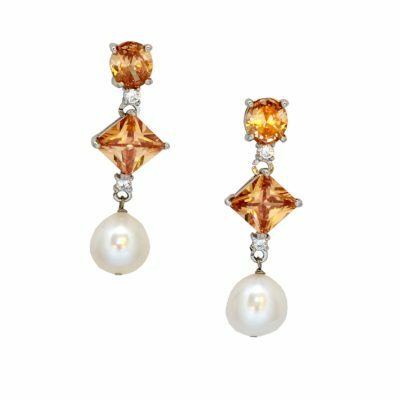 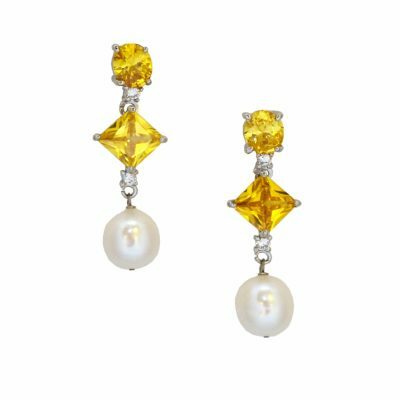 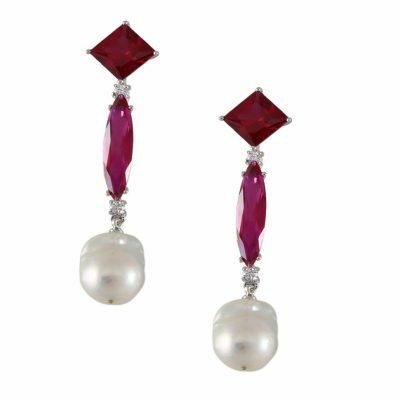 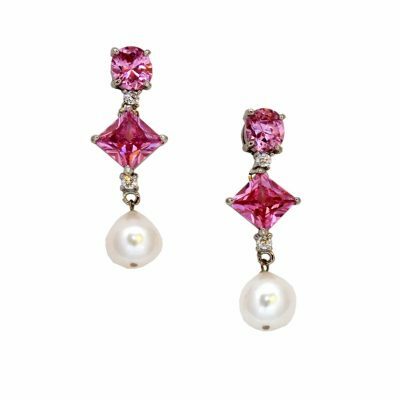 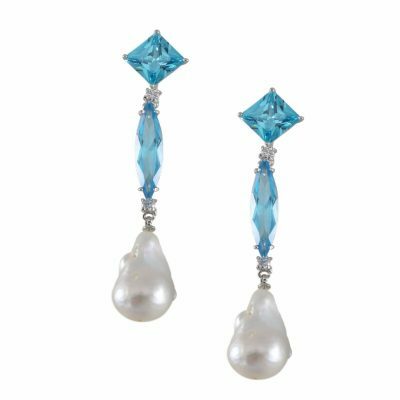 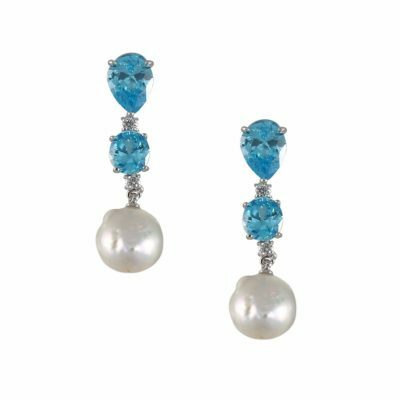 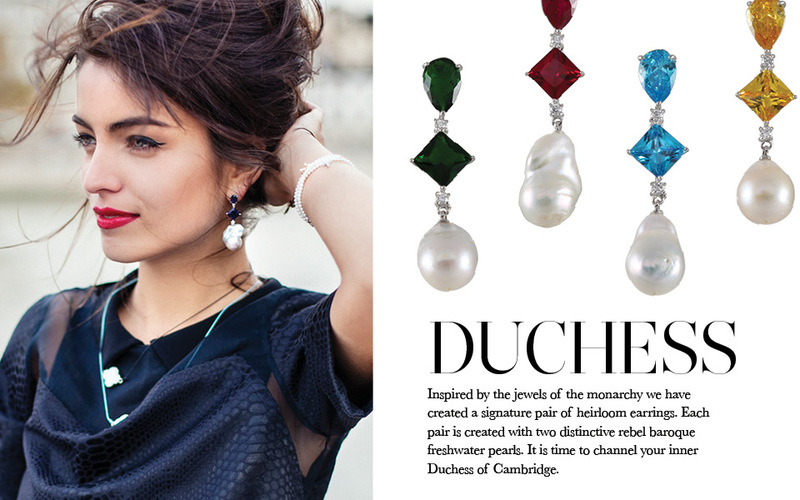 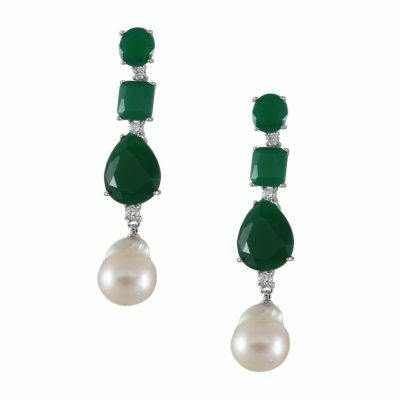 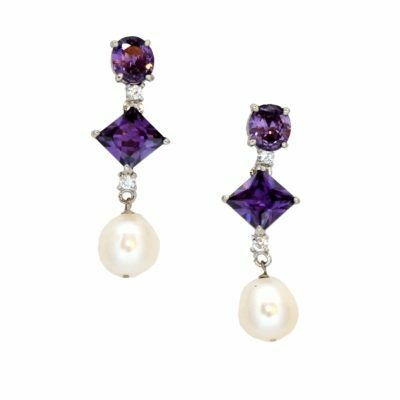 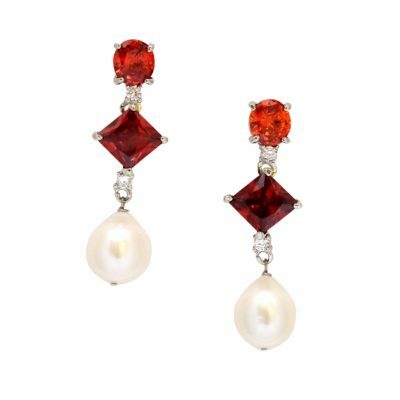 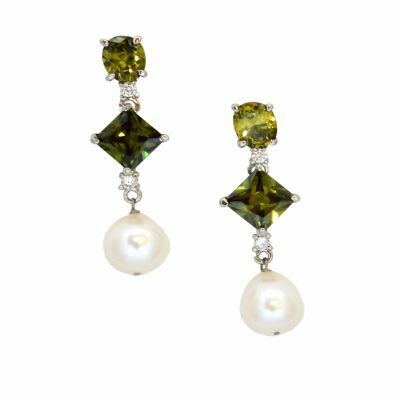 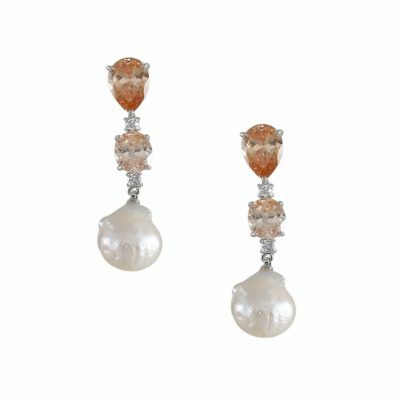 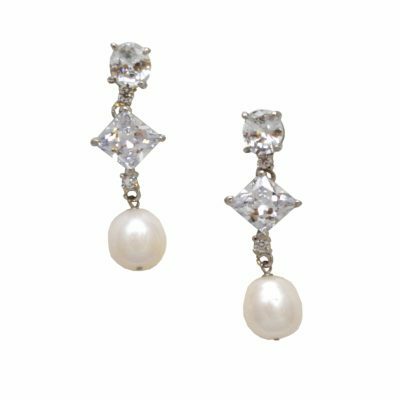 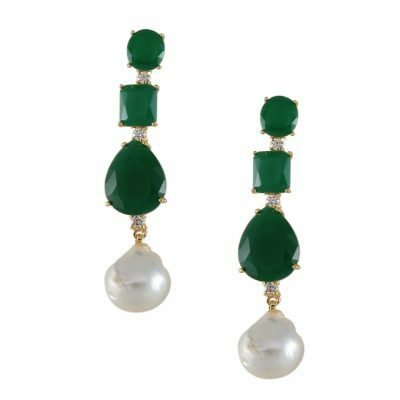 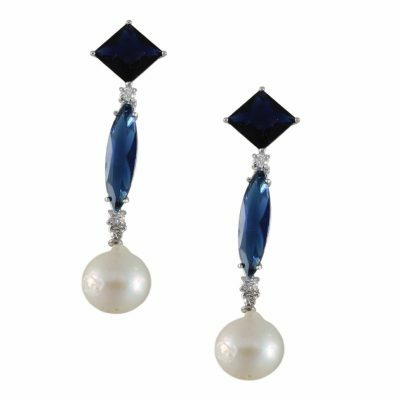 12mm freshwater pearls with enhanced cubic zirconia stones set in rhodium plated findings. 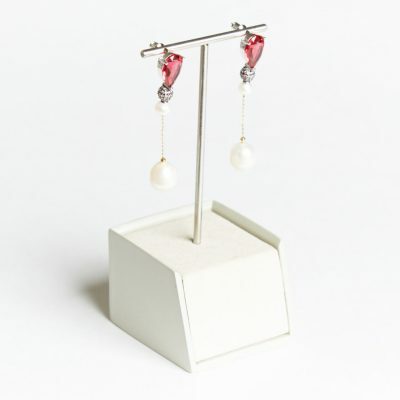 5cm in length. 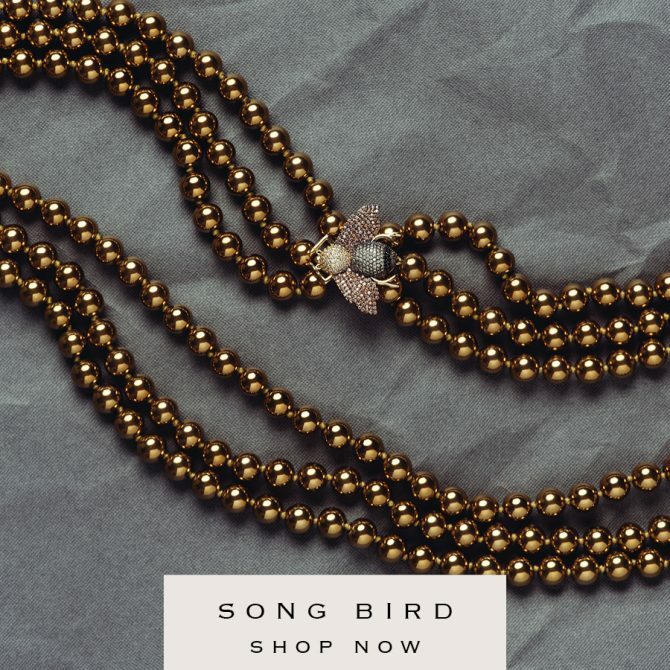 During sale period, all items will be packed in Bowerhaus signature white pouch & grey box only. No exchange, refund or next day delivery.